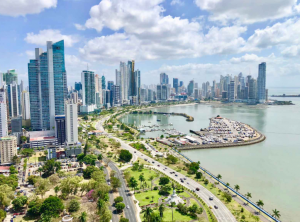 PANAMA CITY, PANAMA, UNITED STATES, March 22, 2019 /EINPresswire.com/ — Established Panama construction sector professional Gabriel Btesh points toward an increasingly bright future for the nation's building and property development industries. First establishing himself within Panama's construction business more than 30 years ago, Gabriel Btesh today heads up one of the nation's most successful and well-respected building and property development companies and remains a prominent figure among fellow professionals and other senior members of the industry. Throughout his career, construction firm boss Btesh has championed improved standards of architectural integrity while maintaining a keen eye and a strong focus on well-being, both in Panama City where he's based and throughout the rest of the Central and South American nation. "I knew very early on in my career that I wanted to have a positive impact on the construction sector, and I remain as focused on—and committed to—that idea today as ever before," suggests Btesh, who first found his feet in Panama's building and property development industry in the 1980s. Now the head of the successful construction firm originally founded by his father, Jack Btesh, son Gabriel's desire to facilitate improved building standards and to bolster national levels of well-being have seen him establish a number of groundbreaking initiatives. One such initiative, Gabriel Btesh reveals, includes ensuring that a range of health and wellness-focused facilities and spaces—such as gyms, plus communal and creative areas—are included in the company's residential construction and development projects. "More recently, the rest of Panama's growing and increasingly revolutionary construction industry has begun to follow in our footsteps, placing a higher than ever level of focus on advancing standards of building and property development," Btesh points out, "as well as on feelings of well-being throughout the nation." This, he says, indicates an increasingly prosperous future for Panama's construction industry and for the country as a whole, attracting interest from colleagues and other construction sector professionals from wider Central and South America, North America, Europe, Asia, and elsewhere around the globe. "Today, all eyes are very much on Panama's ever-evolving and rapidly growing construction sector," Gabriel Btesh adds, wrapping up, "indicating that the industry is set to continue going from strength to strength during coming years and for decades to follow."